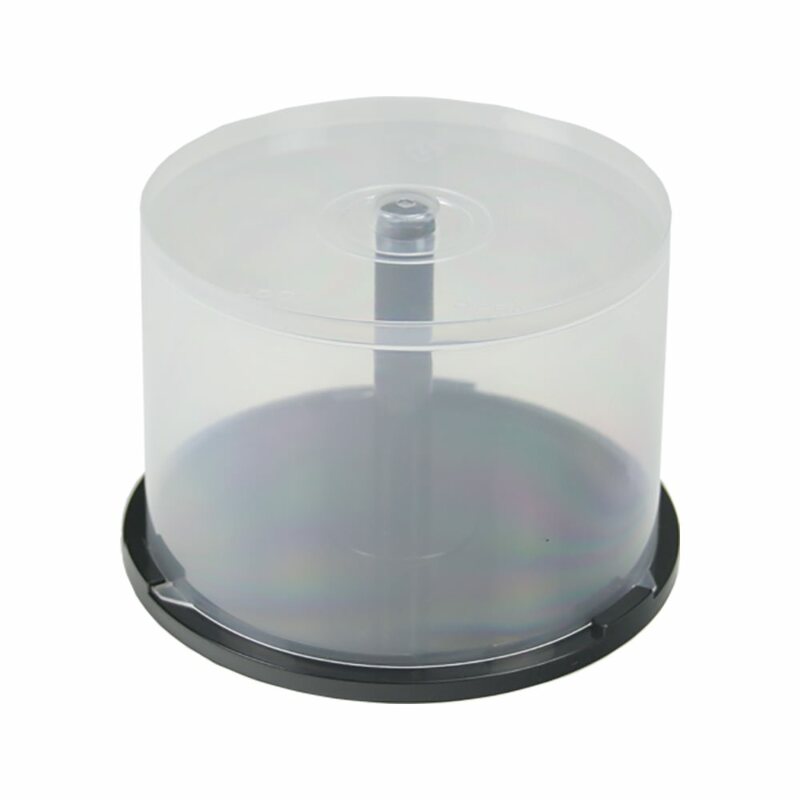 Our classic cake box sports a transparent cover with a twist-lock design and a 50-disc capacity. Well suited for mass duplication and distribution jobs and for high-volume disc storage. USDM 50 piece cake boxes are ideal for safely storing stacks of CDs and DVDs in a protective container. Protects discs from scratches, dust and damage. Stack them on top of each other for a space-saving disc storage solution!